Hello! 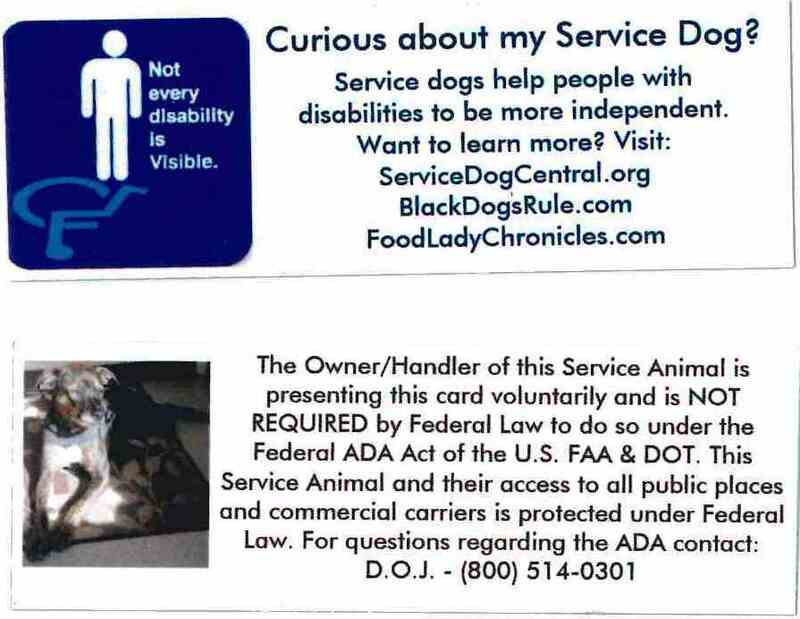 In the real world if someone is interested in my service dog I occasionally hand out business cards. Did you get a card from me that looked like this? 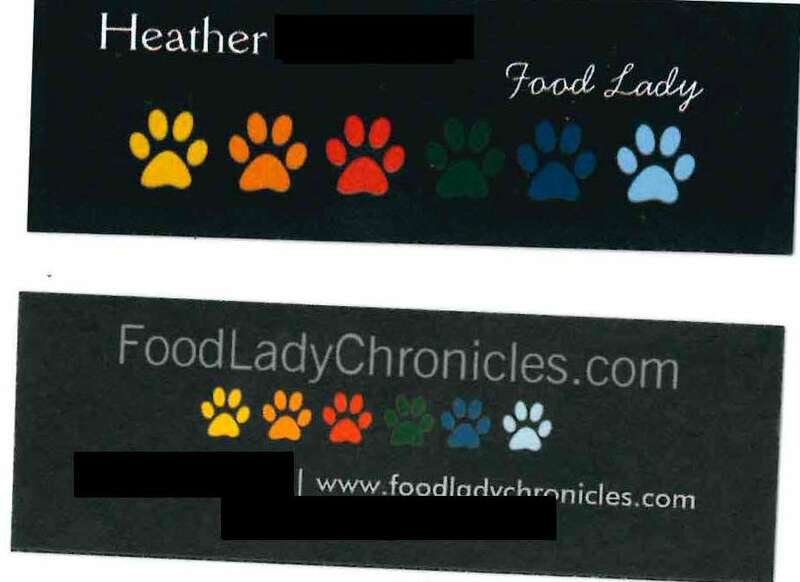 Every once in a while I hand out a different card – did you get a card that looks like this?